If you're ready, you have confirmed where FSMO roles are stored you can do the force move. This can be done with a single PowerShell command as below. Notice that I'm using Force switch. This switch should only be used in a case where you don't have access to your FSMO roles holder! And so I did. Now the tricky part showed up when I wanted to create a new user for my test purposes. I was greeted with this nice little error message. 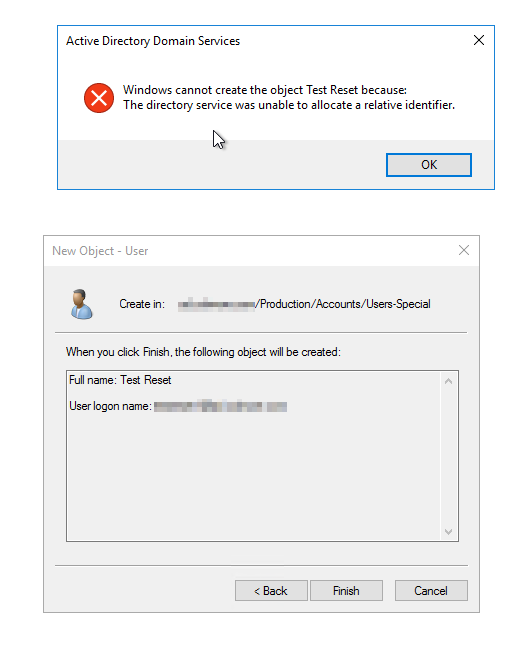 Windows cannot create the object because The directory service was unable to allocate a relative identifier. It was a bit unexpected because moving FSMO roles I've actually moved RID Master which should have allowed me to continue. But it didn't. A quick check with dcdiag and indeed rID data seems to be corrupted. Actually, a fix to this is quite simple. I've actually planned to do that later on but it seems not doing so will prevent any changes You have to clean up your Active Directory from old, still down servers. Until you delete them and clean up their metadata it will not let you go any further. 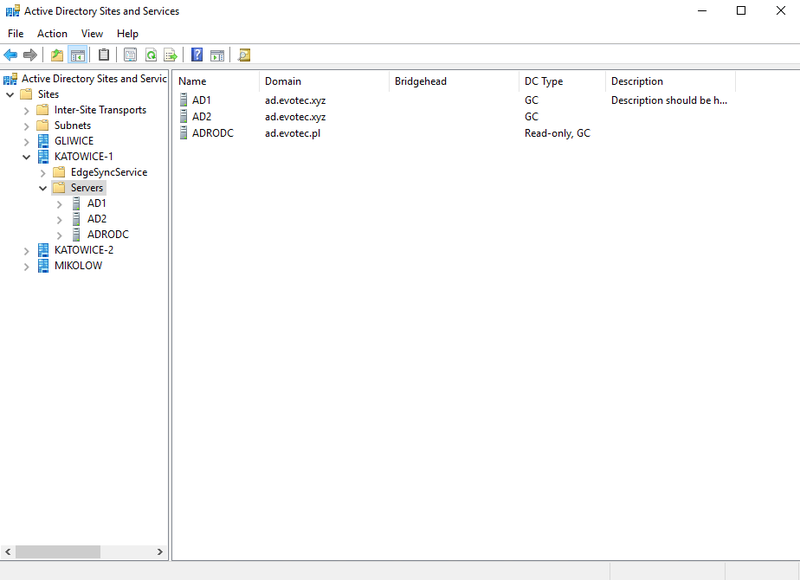 You just need to delete them from Domain Controllers in Active Directory Users and Computers as shown below. 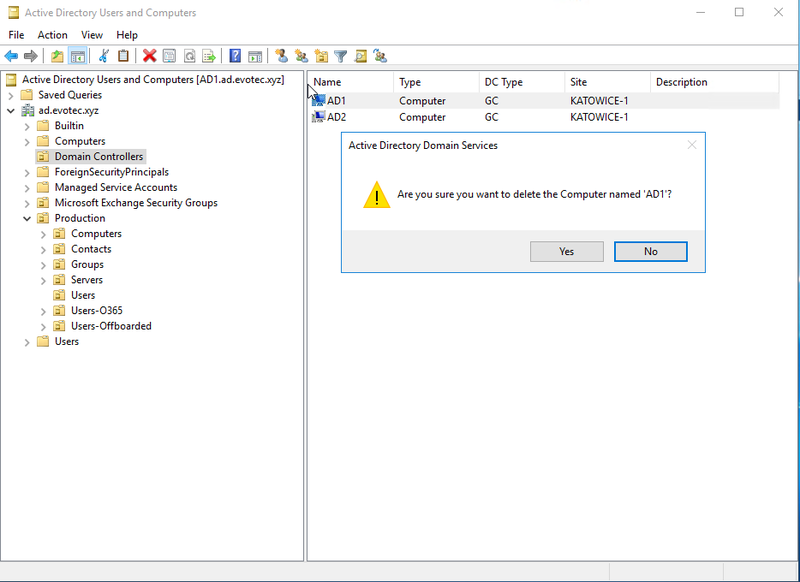 And finally, remove them from Active Directory Sites and Services. After that, you should be good to go and be able to create users again. Short but simple. Just make sure not to delete working servers, and definitely, don't do it on production unless you know what you're doing.